•The NS-2 CT-B is a unique take on the classic NS-2. 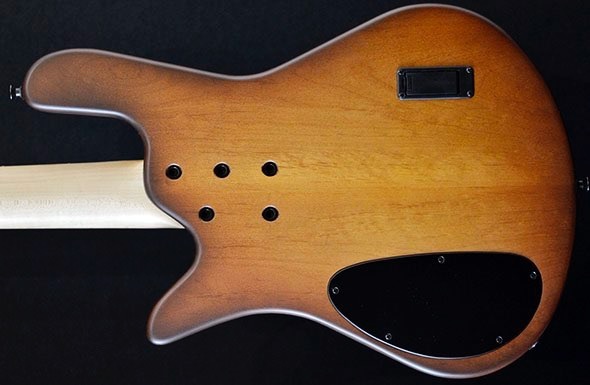 The extremely comfortable, fully carved body features a reclaimed Redwood top and an 85% chambered Alder body for maximum resonance. A bolt-on 3 piece maple neck instrument a 24 fret Pau Ferro fingerboard rounds out the construction of this truly special instrument. 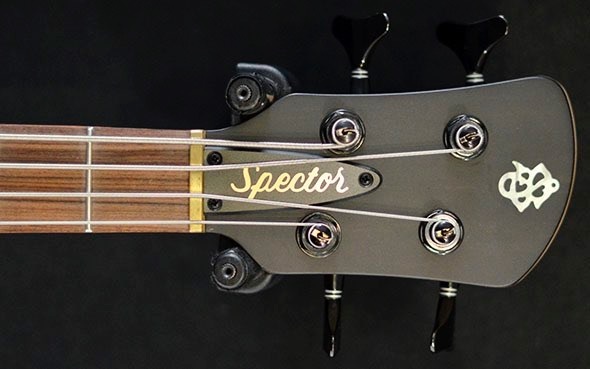 Outfitted with a two-piece ebony/pau ferro bridge, brass nut, this bass produces a rich, full tone. 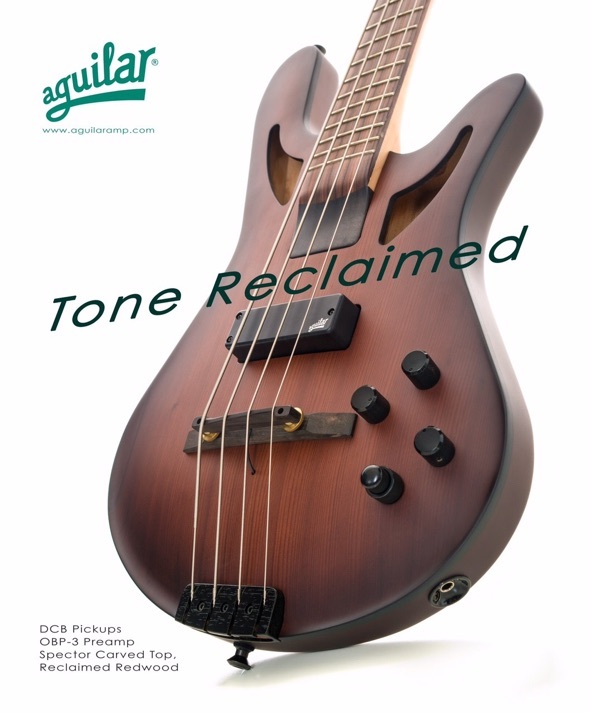 A unique combination of an Aguilar DCB pickup, a Fishman piezo, and Aguilar’s OPB-3 tone control systems allows for maximum flexibility. 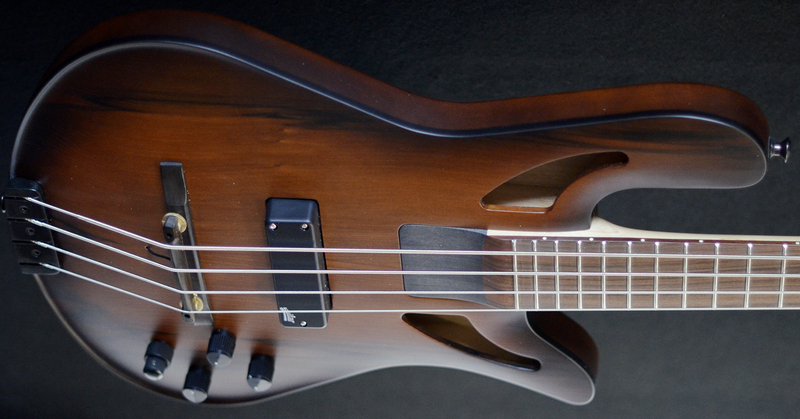 All USA Series basses are handcrafted to order and are available with a variety of custom options. 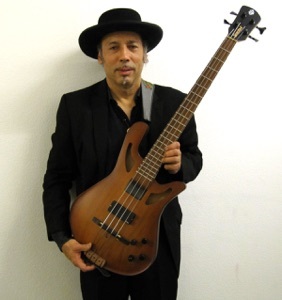 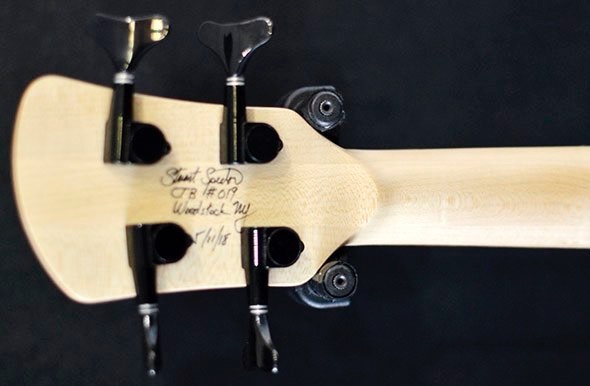 Each bass is hand-signed and numbered by Stuart Spector. 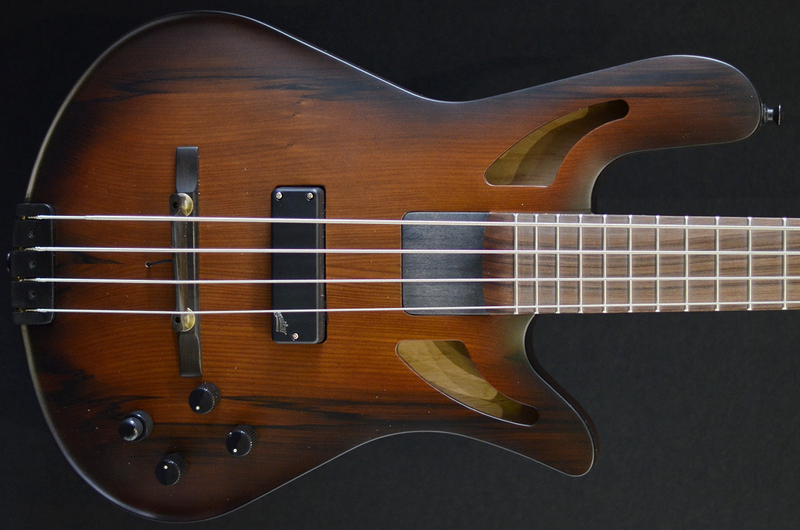 Weight: 6lb 9oz/2.9kg.